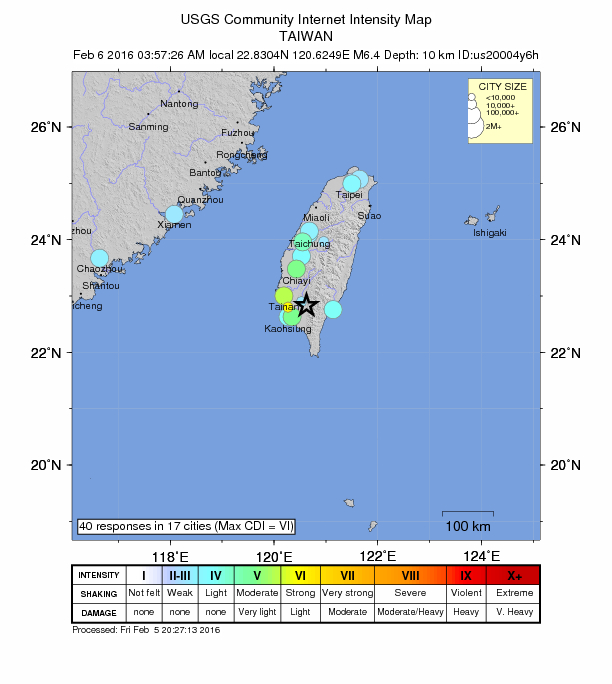 We just had an earthquake in southern Taiwan. Here is the USGS website for this M 6.4 earthquake. 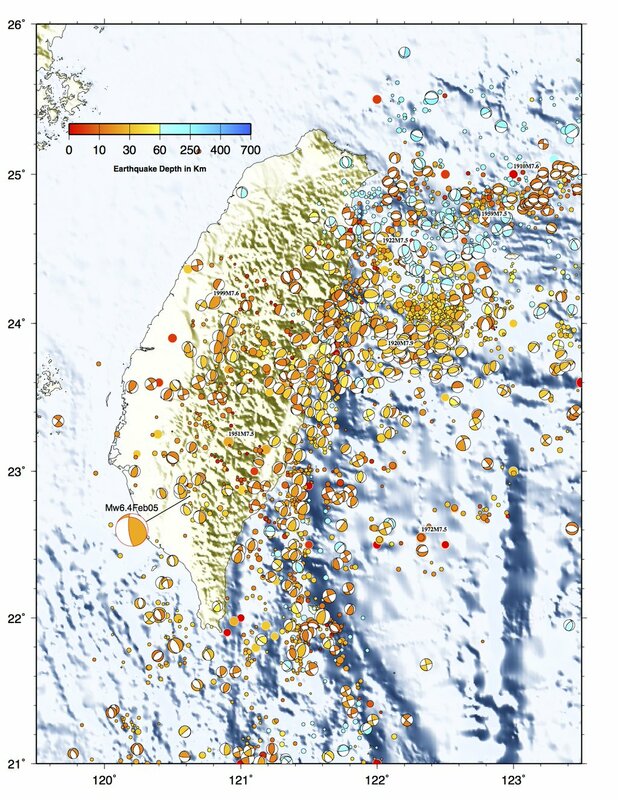 In April 2015, there was a series of earthquakes in the northeast of Taiwan. Here is my earthquake report for those earthquakes. In 1999 there was a devastating M 7.7 earthquake in Taiwan called the Chi Chi earthquake. Here is a brief summary of this earthquake from the USGS. Below is a map that has the epicenter located as a yellow star, with Modified Mercalli Intensity Scale contours plotted. Here is a map showing the shaking intensity that uses the Modified Mercalli Intensity (MMI) scale. The MMI scale is a qualitative scale of the ground motions. There is more about the MMI here. I place the USGS moment tensor on the map. This moment tensor suggests that this is a compressional earthquake with slight oblique motion. It is well resolved as a double couple (98%), probably due to its shallow depth. Currently, the depth is listed as 10 km (though this is a default depth, so it is probably not 10 km). 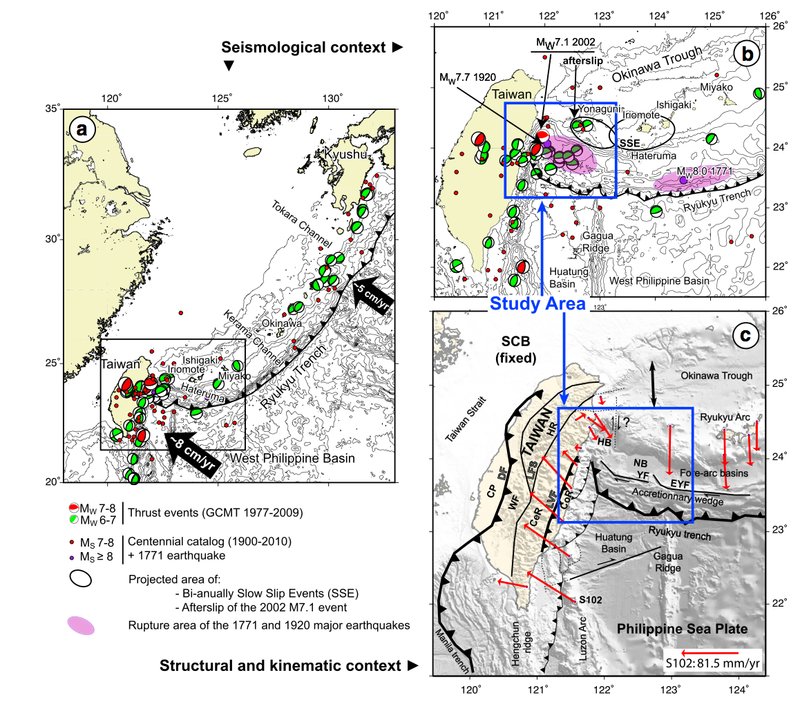 More on the complicated tectonics of this region can be found here. This earthquake was felt broadly, including the China mainland. The colors in this map are also using the MMI color scale and are based upon reports from people who used the USGS “Did You Feel It?” (DYFI) web site. There is more about this DYFI system here. The MMI contours in the above map are based upon numerical simulations of ground motions based upon “Ground Motion Prediction Equations.” The GMPEs are empirical relations between ground shaking intensity and distance from the earthquake. These relations are regressed for thousands of earthquakes and filtered for different geological settings. Below is a plot of the DYFI report responses (green dots are individual reports). Also shown are the GMPE estimates for ground motions based upon the models developed for the central and eastern US (orange) and for California (green). Does Taiwan “behave” more like the central and eastern US, or more like California? Here is an oblique view of the plate configuration in this region. This is from Chang (2001). Here is a great interpretation showing how the Island of Taiwan is being uplifted and exhumed. This is from Lin (2002). Needless to say, this is an excellent map showing the complicated faulting of this region. This is from Theunissen et al. (2012). Here is another tectonic interpretation map from here. 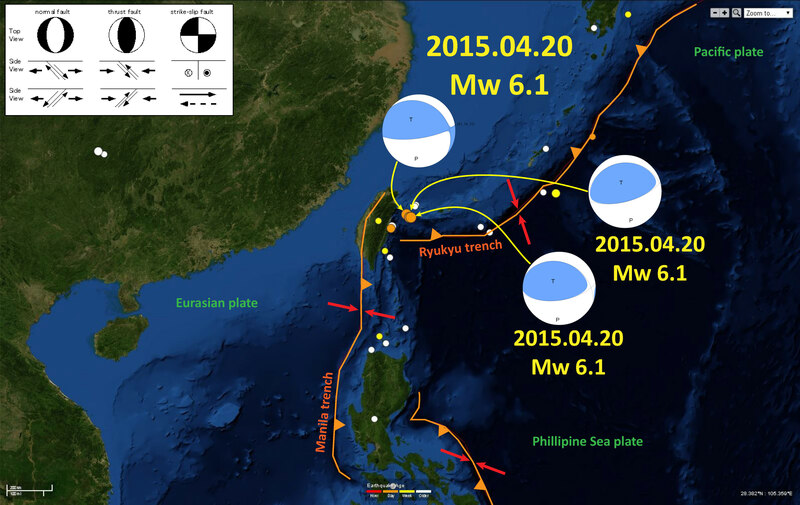 Here is a map that shows the three earthquake epicenters from 2015 as they relate to these plate boundary faults. 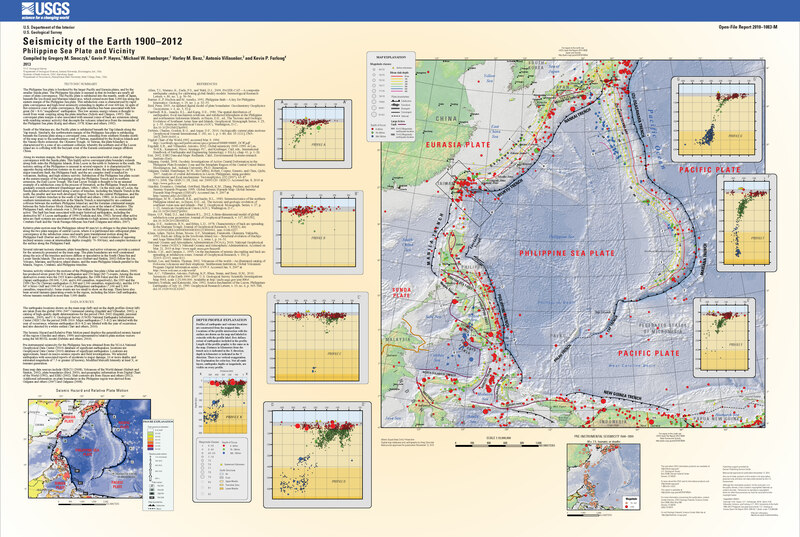 Here is the USGS poster for seismicity from 1900-2012 in this region. USGS Open File Report 2010-1083-M, Smoczyk et al. (2013). 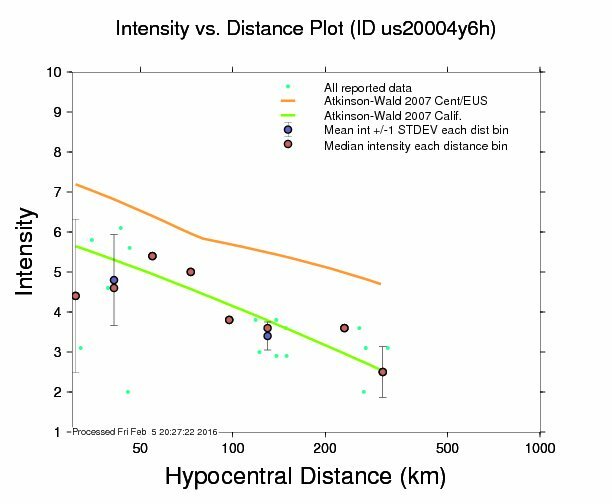 Here is a plot of focal mechanisms from this region, as prepared by Jascha Polet, Professor of Geophysics at Cal Poly Pomona. Smoczyk, G.M., Hayes, G.P., Hamburger, M.W., Benz, H.M., Villaseñor, Antonio, and Furlong, K.P., 2013. 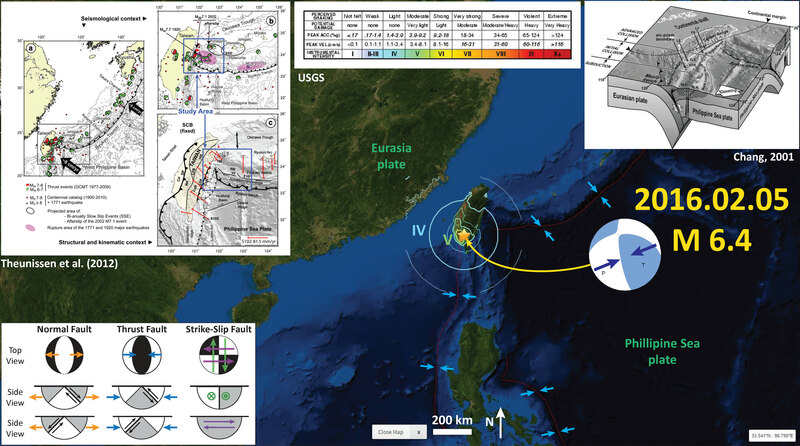 Seismicity of the Earth 1900–2012 Philippine Sea Plate and vicinity: U.S. Geological Survey Open-File Report 2010–1083-M, scale 1:10,000,000, http://dx.doi.org/10.3133/ofr20101083m.